Born 10 Apr 1927; died 15 Jan 2010 at age 82. Marshall Warren Nirenberg was an American biochemist who shared with (Robert William Holley and Har Gobind Khorana) the 1968 Nobel Prize for Physiology or Medicine. He was noted for his role in deciphering the genetic code. He demonstrated that, with the exception of “nonsense codons,” each possible triplet (called a codon) of four different kinds of nitrogen-containing bases found in deoxyribonucleic acid (DNA) and, in some viruses, in ribonucleic acid (RNA) ultimately causes the incorporation of a specific amino acid into a cell protein. American chemist who is best known for his syntheses of complex organic substances, including quinine, the well-known antimalarial (1944), the steroids cholesterol and cortisone (1951), and vitamin B12 (1971). He also synthesized lanosterol, the famous poison strychnine and reserpine. Several other examples from the chemistry of the alkaloids are lysergic acid, ergonovine, ellipticine, colhicine. In the field of antibiotics Woodward established the structure of aureomycin and terramycin. He has also synthesized chlorophyll, the green plant pigment. He established the structure of many compounds, for instance the peculiar fish poison tetrodotoxin, causing numerous fatalities in Japan. He was awarded the Nobel Prize for Chemistry in 1965. Born 10 Apr 1887; died 21 Sep 1971 at age 84. Argentine physiologist and corecipient, with Carl and Gerty Cori, of the 1947 Nobel Prize for Physiology or Medicine. He was noted for discovering how pituitary hormones regulate the amount of blood sugar (glucose) in animals. The hypophysis, or the pituitary gland, is an important, but small secreting gland at the base of the brain, where it lies sunk in a bony hollow in the most sheltered spot of the whole body. Its size is that of a bean in man, a pea in the dog, and a radish seed in the large toad Bufo marinus, which is plentiful in the Argentine. Houssay worked with dogs from which the hypophysis, or sometimes only its anterior lobe, was surgically removed. He then found that a daily implantation of anterior lobe of hypophysis from toads on the operated animals protected the latter from unbalanced levels of insulin, otherwise present. Born 10 Apr 1865; died 3 Nov 1944 at age 79. Canadian naturalist, author, and lecturer who won a reputation as a leading bird conservationist and who conducted extensive research into migratory patterns. In 1904, he founded the Jack Miner Bird Sanctuary for the conservation of migrating Canada geese and wild ducks, originating the waterfowl refuge management system. In 1909, he pioneered the tagging of migratory waterfowl by banding his first wild duck. The band was returned by Dr. W. Bray of Anderson, South Carolina in Jan 1910, thus making the first complete banding record. The same year Miner started a 30 year lecture career speaking on wildlife conservation and the need for the establishment of sanctuaries and wildlife refuges. Born 10 Apr 1863; died 9 May 1914 at age 51. Born 10 Apr 1838; died 8 Apr 1925 at age 86. Scottish physicist and mathematician who first created artificial ice. His practical scientific investigations led to his book Experimental Inquiry Into the Nature and Propagation of Heat(1804), dealing with the fundamental laws of heat radiation. Leslie gave the first correct description of capillary action (1802) and invented many instruments, most notably an accurate differential air thermometer, and also a hygrometer, a photometer, the pyroscope, atmometer and aethrioscope. In 1810, he devised a method of obtaining very low temperatures, by evaporating water in a receiver evacuated with an air-pump but containing a drying agent. His mathematical works include texts on geometry, trigonometry and The Philosophy of Arithmetic. Samuel Christian Friedrich Hahnemann was a German chemist and physician who founded the system of therapeutics known as homeopathy. Hahnemann's methods aroused controversy among his contemporaries and he was forced to leave his practice in Leipzig, eventually settling in Paris. 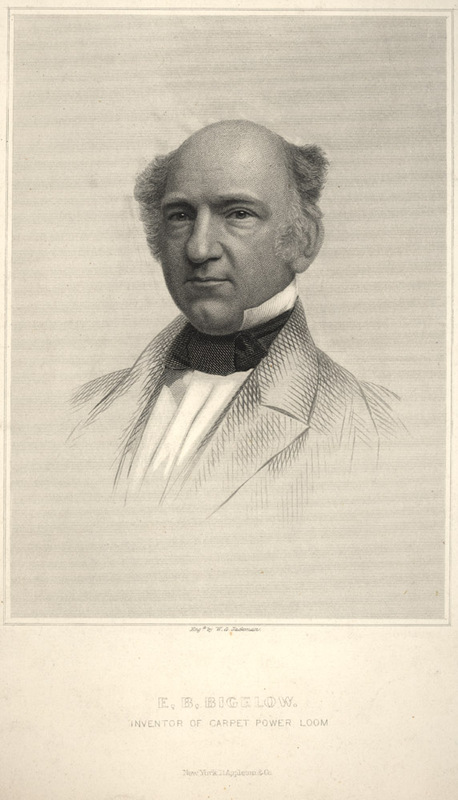 His system was one of complementary medicine, after Hahnemann observed that quinine (an anti-malarial drug) taken by healthy patients produced symptoms similar to those of malaria, and proposed that any compound that produced symptoms similar to those of an illness could cure the illness. This “proving” is the basis of modern homoeopathic practice; compounds are taken in very small doses. Homoeopathy requires the practitioner to treat the patient as a whole, rather than a specific symptom. Samuel Hahnemann: The Founder of Homoeopathic Medicine, by Trevor M Cook. - book suggestion. Born 10 Apr 1707; died 18 Jan 1782 at age 74. (1st Baronet) British physician, an early exponent of the importance of ordinary putrefactive processes in the production of disease. His application of this principle to the administration of hospitals and army camps has earned him distinction as the founder of modern military medicine. Died 10 Apr 2013 at age 87 (born 27 Sep 1925). Samuel Proctor Massie was a Black-American chemist who was the U.S. Naval Academy’s first African-American professor. He graduated from high school at age 13, and received his B.S. degree at age 18. In 1943, while working on his Ph.D., Massie joined a team of scientists working for the Manhattan Project on the development of the atomic bomb. He was asked to develop liquid compounds of uranium, though this research later proved to be a dead end. His major contributions include studies in silicon chemistry, the chemistry of phenothiazine, antimalarial-antibacterial agents, and studies on environmental agents. He is recognized for encouraging disadvantaged students into science careers. Catalyst: The Autobiography of an American Chemist, by Samuel Proctor Massie and Robert C. Hayden. - book suggestion. Died 10 Apr 1999 at age 88 (born 29 Jul 1910). Died 10 Apr 1997 at age 84 (born 31 May 1912). British chemist who won the 1978 Nobel Prize for Chemistry for helping to clarify how ADP (adenosine diphosphate) is converted into the energy-carrying compound ATP (adenosine triphosphate) in the mitochondria of living cells. Died 10 Apr 1954 at age 91 (born 19 Oct 1862). Died 10 Apr 1911 at age 70 (born 31 Jan 1841). Samuel Loyd was an American puzzlemaker who was best known for composing chess problems and games, including Parcheesi, in addition to other mathematically based games and puzzles. He studied engineering and intended to become a steam and mechanical engineer but he soon made his living from his puzzles and chess problems. Loyd's most famous puzzle was the 14-15 Puzzle which he produced in 1878. The craze swept America where employers put up notices prohibiting playing the puzzle during office hours. Loyd's 15 puzzle is the familiar 4x4 arrangement of 15 square numbered tiles in a tray that must be reordered by sliding one tile at a time into the vacant space. French chemist who was a pioneer in organic chemistry. Propounding new theories of relationships between organic compounds, he laid the foundations for Kekulé's later work. In 1823, working with Jean-Louis Prévost, Dumas showed that urea is transported by the blood. Together in 1824-25, they repeated Lazarro Spallanzani's filtration experiments, thus confirming the necessity of spermatozoa for fertilization, and described cleavage in a frog egg. In 1833, with the determination of nitrogen in organic compounds, he established quantitative organic analysis. Two decades ahead of Mendeléev, in 1851, he sought to establish an order among elements by their properties. In 1848 he moved into politics, becoming Master of the Mint in 1868. Died 10 Apr 1868 at age 82 (born 25 Mar 1786). Italian-French mathematician who made great contributions to the theory of numbers and to analytic and celestial mechanics. His most important book is Mécanique analytique (1788; "Analytic Mechanics"), the textbook on which all later work in this field is based. Died 10 Apr 1752 at age 63 (born 19 Oct 1688). English surgeon and teacher of anatomy and surgery, who was instrumental in raising surgery to a profession. He began lecturing on anatomy at age 22. Three years after that, he published Anatomy of the Human Body, (1713) written in English instead of the Latin, which remained in print as a text for anatomy students for almost a century. He was the first to perform operations for iridectomy, the removal of part of the iris to treat blindness (1728) and lateral lithotomy (1727). In the latter operation, he was quick and precise surgeon, able to remove bladder stones in about one minute. He described the role of saliva in digestion, as opposed to the general belief that digestion resulted from the mechanical actions of the abdominal muscles on the stomach. In 2003, the retirement of all Concorde supersonic jets was announced simultaneously by British Airways and Air France, after a quarter century of passenger service that began on 21 Jan 1976. Rising fuel and maintenance costs for the aging aircraft (in the shadow of a fatal crash of a French Concorde in 2000) at a time of declining passenger traffic and revenue made the decision necessary. Air France ended passenger service on 31 May 2003. The final passenger flights made by British Airway landed on 24 Oct 2003. By 28 Nov 2003, all retired British Concordes had been flown to various final destinations for display at museums and airfields in Britain and America. DNA and the Criminal Justice System: The Technology of Justice, by David Lazer (ed.). - book suggestion. Germs: Biological Weapons and America's Secret War, by Judith Miller, et al. - book suggestion. In 1955, polio vaccine tested a success by Dr. Jonas Salk. In 1944, the first synthetic quinine was produced by Dr. Robert Burns Woodward (on his birthday) and Dr. William von Eggers Doering at the Converse Memorial Laboratory, Harvard University, Cambridge, Mass. Quinine, an anti-malarial drug, is an organic chemical with the formula C20H24N2O2. In 1894, two patents were issued to black American inventor, G.W. Murray for a "Combined Furrow Opener and Stalk-Knocker" (No. 517,960) and a "Cultivator and Marker" (No. 517,961). On 6 Jun of the same year, he was issued another six patents for agricultural implements. The Forest Unseen: A Year’s Watch in Nature, by David George Haskell. - book suggestion. In 1849, the first U.S. patent for a safety pin was issued to Walter Hunt of New York City (No. 6,281). When short of cash, within the space of three hours, he conceived the idea, made a model, immediately sold the patent rights for $400. However, safety pins existed prior to this patent. In Great Britain, a safety pin was patented by Charles Rowley on 12 Oct of the same year. The Patent Office Pony: A History of the Early Patent Office, by Kenneth W. Dobyns. - book suggestion. The Curious Life of Robert Hooke: The Man Who Measured London, by Lisa Jardine. - book suggestion.